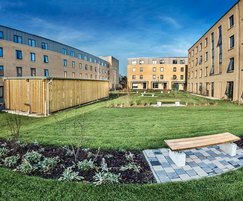 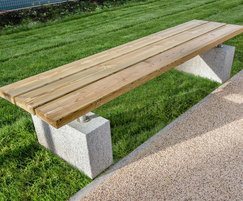 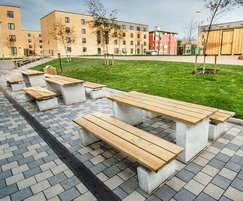 Langley Design worked with Bouygues UK to provide a fully costed street furniture solution for the various landscaping schemes and courtyards around the site. 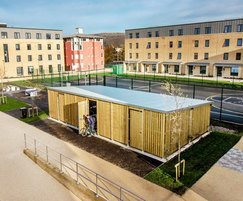 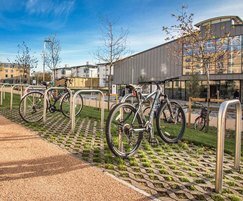 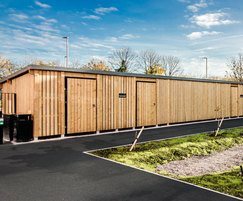 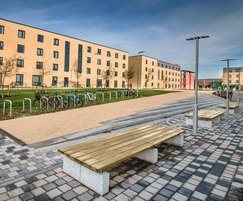 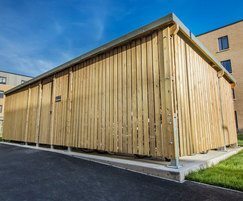 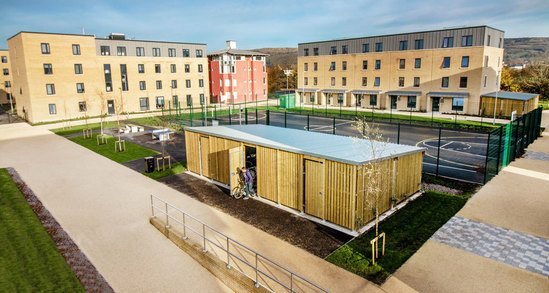 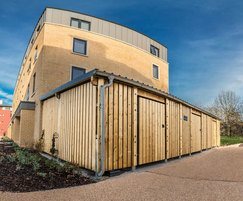 Products included benches and external dining areas, plus a large selection of secure bin store and cycle parking facilities in line with the work we had successfully completed for them at the University of Hertfordshire. 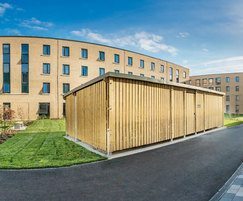 The selection of external furniture helps to provide enjoyable and functional spaces for students to make use of these external areas. 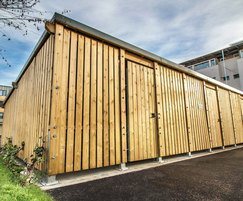 The Sheldon Litter Container SLC302 is a 90 litre steel frame litter bin clad with 3 slats of timber or recycled plastic on each side. 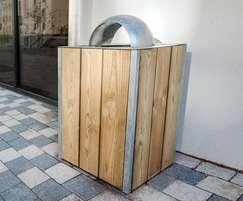 The litter container comes as standard with the recognisable Langley Design Dome top lid.